I left the States for the first time when I was 18. I had just graduated from high school and the environmental science department was organizing a trip to Belize, but my parents suggested that I instead visit family in South Africa (where my dad lived until his early 30s). He would help me organize visits with cousins, aunts and uncles, and I had to pay for the international flight. I wasn’t a confident traveler. In fact I wasn’t a very confident guy. Much of life was about comparing myself with other people and how I was perceived, whether I said the cool thing. But I wasn’t nervous about traveling because I had family members waiting on the other side (even if I’d never met most of them). 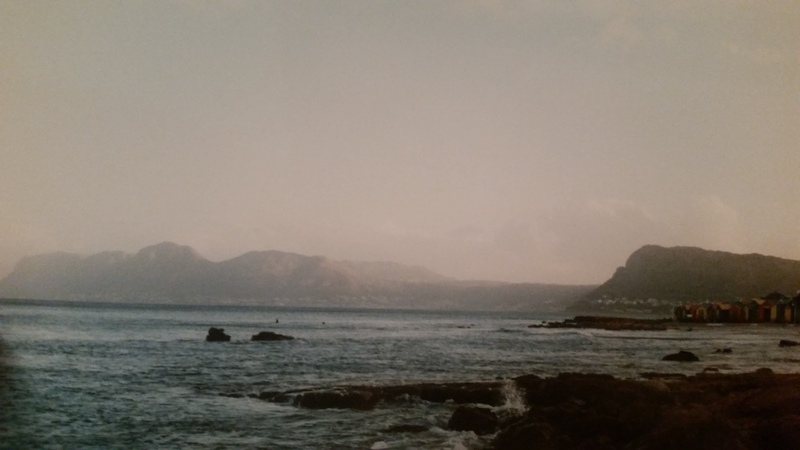 They would take me around, to the lighthouse at Umhlanga Rocks that my mom had snapped a photo of 17 years earlier; to eat oysters for the first time at Knysna; to the Garden Route and the bridge uncle Michael tricked my mother’s mother into spitting over, telling her it was good luck. My cousin Debbie would show me Cape Town even though she had a cold. Uncle Antony took me to the townships of Johannesburg where he worked. My cousin Sandra showed me the house where my dad grew up and the church where he was ordained. Sandra's husband Rob took me to a restaurant where I first tried oxtail. On another night they had an ostrich neck potjie (“poikee”), which remains one of the best things I’ve ever eaten. And on still another night with Rob and Sandra, they threw a dinner party. On the night of the dinner a South African friend of theirs who had travelled the U.S. suggested that I lived in the “boring” part of the country (I lived outside of Philadelphia). This was probably the first time I ever felt defensive about the place I lived. I said nothing because everyone was laughing and having a good time, but I clearly remember feeling offended, as if he had insulted me personally and had not simply made an innocent, offhand remark. I’m not sure who I am now, and I most certainly didn’t know who I was at the time, but I guess it occurred to me in that moment, from across the Atlantic and six time zones in the future, that I am a person who comes from the northeast U.S., from a suburb north of Philadelphia. Now, I don’t know if that says much about me, but at the time it was something. It was something that I could identify by when I found myself among a group of locals in an entirely different place. Certainly I was being hypersensitive about his remark but that moment nonetheless defines for me the concept of self-identification, and how that process can be so salient when we’re abroad. I went to college that fall, feeling proud to tell my new friends that I’d just travelled to South Africa. It seemed to make me more confident that I’d been there. Later I realized that it wasn’t so much the experience of having been there per se that made me more confident, but rather that I’d put a bit of distance between myself and the person I’d been all my life, giving me a few moments of clarity to reflect on that kid “James,” the teenager, the high school student, the one who wanted to be cool. 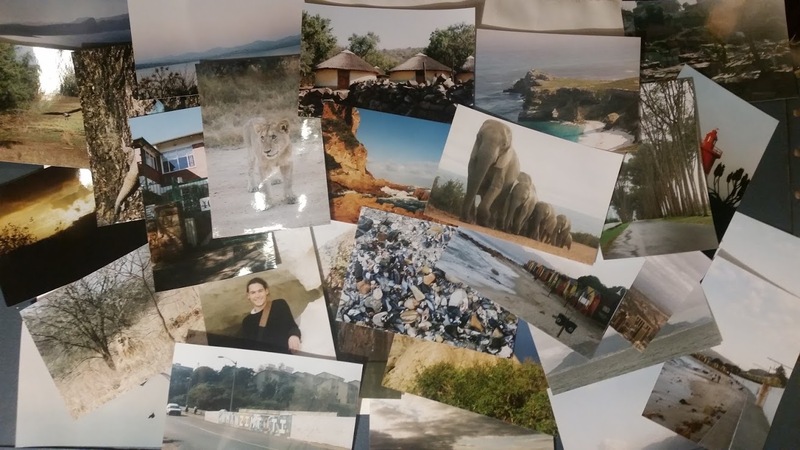 I’m preparing to return to South Africa for the first time in sixteen years and I can’t help but to wonder what kind of personal baggage I’ve picked up along the way, and whether it will come into focus when I stand again at Cape Point, or once again outside my dad’s childhood home, or at a dinner party with family or new strangers.